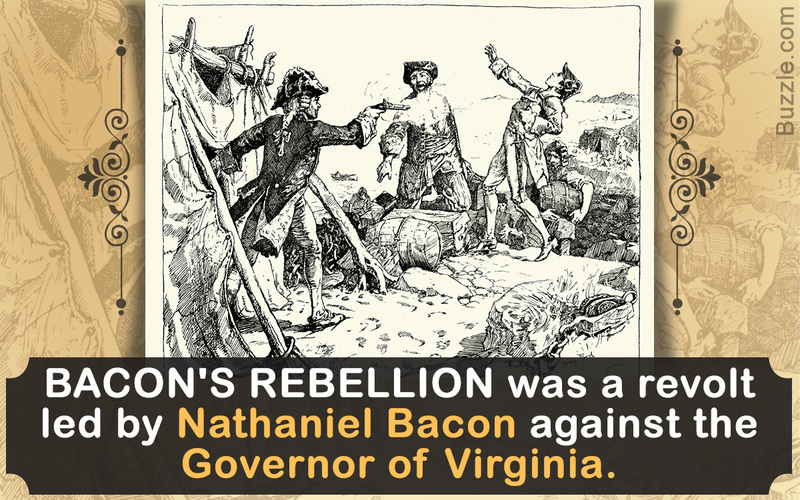 Bacon's Rebellion was a revolt led by Nathaniel Bacon in 1676 against the injustices of William Berkeley, the Governor of Virginia. Nathaniel Bacon was actually a cousin of William Berkeley, the Governor of Virginia. Before the struggle for freedom commenced in 1776 in America, the citizens of Maryland, Virginia, were living in peace, taking care of their plantations. The British monarchy ruled over the colonies, and the citizens were happy with the progress of the lands. The British monarchy invited settlers to domesticate the lands as well as create cash crops. But with Native American settlements near the border, things were always tense with the citizens living in close proximity. In 1676, Nathaniel Bacon, the son of wealthy parents in Suffolk, had arrived in Virginia to take care of the tobacco plantations of his family. He even had a seat in the House of Burgesses, a ruling Council that handled the judicial and administrative affairs of the state. Virginia was ruled by William Berkeley. 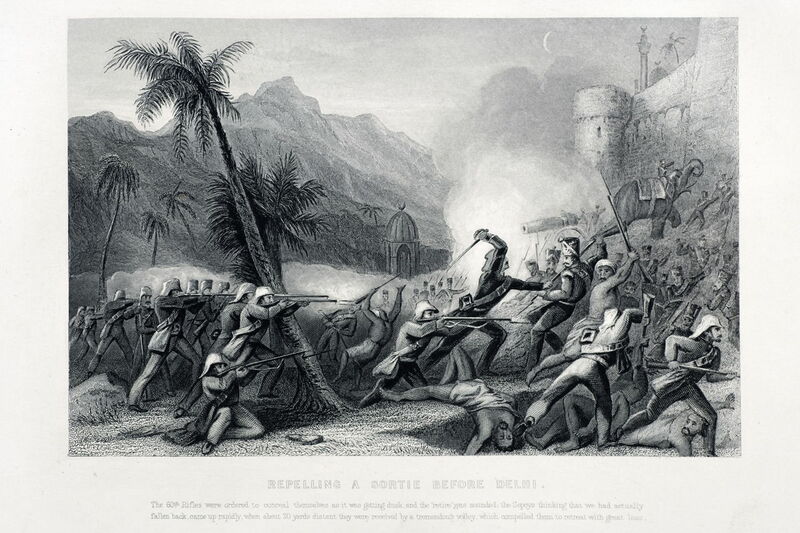 But the frequent tensions between the Native Americans and the settlers, the low protection provided to the farmers working on his plantations, as well as the proximity of the attacks near the borders had rendered many injuries. 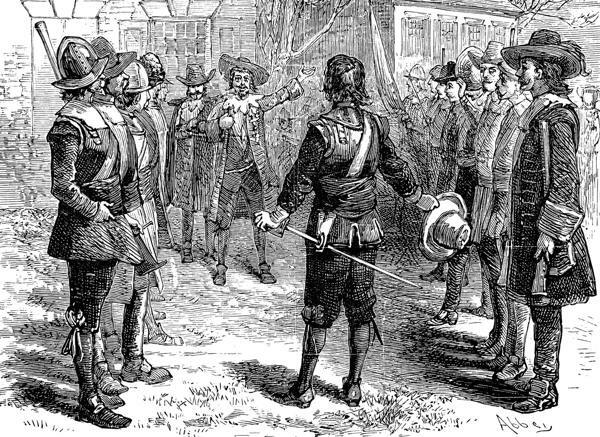 This led to a dispute between Nathaniel Bacon and William Berkeley, which finally erupted into a widespread revolt, known as Bacon's Rebellion. ◆ Tobacco was produced at low prices and exported to other countries for a profit. ◆ Indentured servants who had served their terms had no lands to grow their crops, and yet had to pay high taxes. ◆ Frequent attacks on the plantations near the borders by Native Americans. ◆ William Berkeley's refusal to take action against the Native Americans and administer rights to the citizens to defend themselves. ◆ An overseer of Nathaniel Bacon working on his plantation was killed in an unprecedented attack by the Doeg tribe. ◆ Frequent complaints regarding protection against the attacks fell on deaf ears. Instead, Governor Berkeley offered to build forts along the border. This was thought to be another ploy, by the people of Virginia, to raise taxes. ◆ After Governor Berkeley's refusal to take action against the Native American tribes, Bacon arrived with 500 men and demanded a commission to lead an army against the tribes. 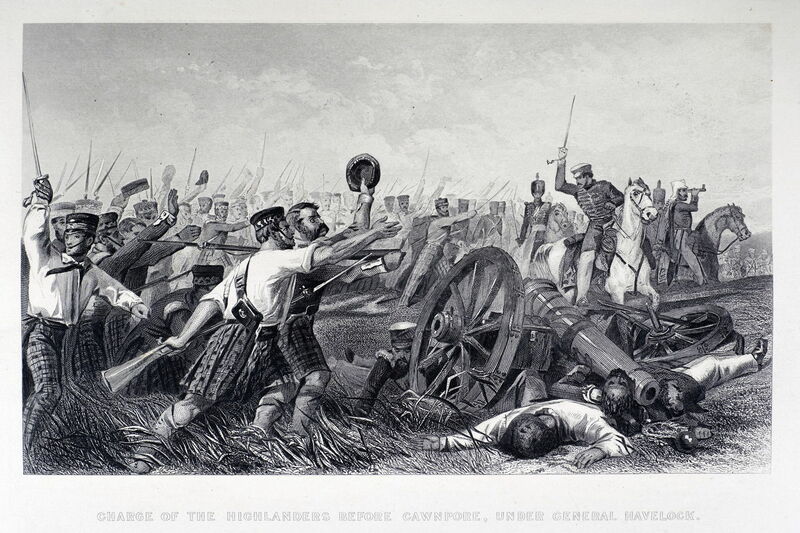 The governor yielded to his demands after he threatened to shoot the remaining members of the Council. ◆ Nathaniel Bacon and his army persuaded the Occoneechee tribe to fight against the Susquehannock. After they captured the strongholds of the Susquehannock, Bacon and his army attacked the Occoneechee tribe, killing men and women indiscriminately. Thus, the middlemen acting on behalf of the governor in the fur trades were vanquished. In retaliation, William Berkeley branded Nathaniel Bacon a rebel and a traitor. ◆ Bacon and his army marched back to Jamestown and burned down all the official buildings, while Berkeley fled to Northampton. ◆ Bacon and his army attacked the friendly Pamunkey tribe, who were the allies of the English, and were supplying them with weapons during raids with other tribes. ◆ In July 1676, Bacon issued a list of complaints, named the 'Declaration of the People of Virginia', outlining the grievances of the citizens and the injustices they had to incur under the rule of William Berkeley. ◆ Naval ships from England were sent as reinforcements to aid against the rebellion. Before they could capture Bacon, he died of dysentery in October that year. ◆ The leadership soon fell into the hands of John Ingram, but the followers either died or joined Berkeley. ◆ The rebellion soon ended, and 23 men were hanged without trial on the orders of William Berkeley. ◆ Bacon's Rebellion was a significant event, because it highlighted the mistreatment under British rule, and stoked the fire of rebellion in different states. 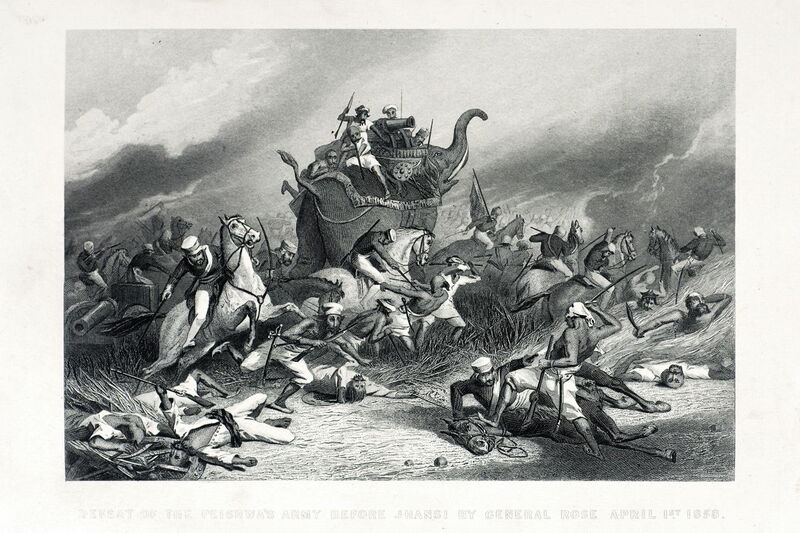 ◆ It unwittingly encouraged white populism and waged a war against the Indians, who were the original rulers of the land. ◆ The rebellion stopped the use of indentured servants, and instead encouraged the capturing of slaves from Africa, to put a stop to any further uprisings. ◆ William Berkeley was relieved of governorship, and later died in England. Bacon's Rebellion was regarded to be a standpoint in American history. Although a closer look at the facts would indicate that Bacon only cared only about whites. This rebellion was even considered to be a personal vendetta between him and Governor Berkeley. In the end, Nathaniel Bacon tried to end the disharmony and discontent among the plantation farmers. It was a significant event, since it was the first time the average citizen had demanded his rights in front of the government.